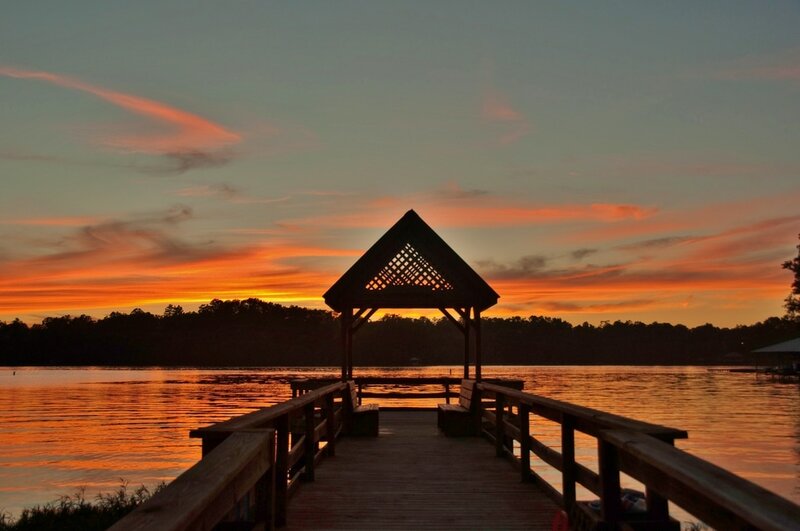 The Lake Preservation Committee of the Town of Highland Lake was responsible for the construction of the first fishing pier, built along the edge of Brashier Creek. This pier was constructed with money made by the Committee with their weekly breakfast at the Anchor. The pier was dedicated to Roy Richards, a long-time Highland Lake resident and dedicated fisherman. When it became unsafe to use, the pier was rebuilt closer to the boat launch and a new plaque was added to honor Mr. Richards. Since its move, many fishermen and quite a few sightseers have enjoyed the beautiful view and wonderful fishing spot. 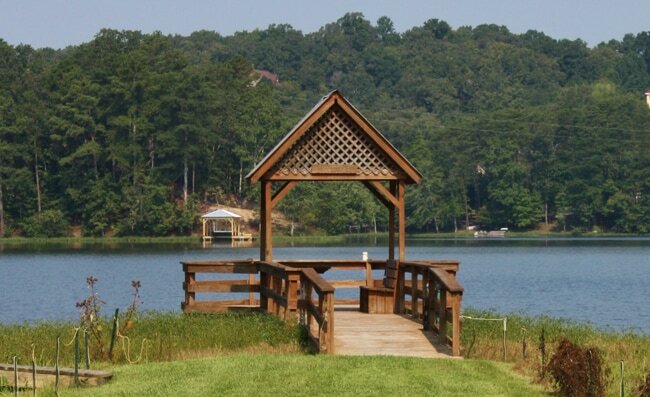 A Lake Use Permit is required to fish for a daily fee of $2.50. Anyone can fish from this pier, as well as the banks, with this permit which may be obtained from the Town Hall. Click here to view the office hours.